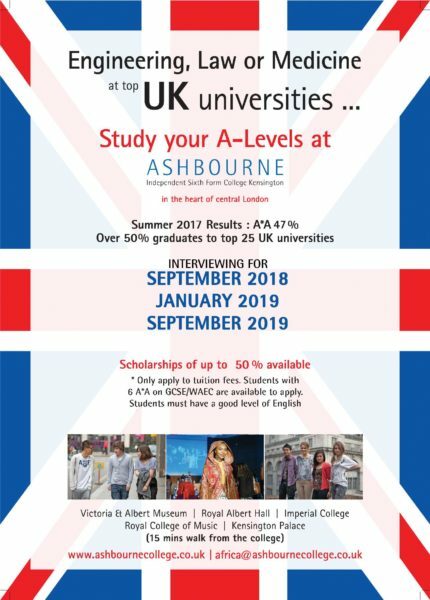 Ashbourne College has a tradition of recruiting African students, and in the past ten years, we have had about 100 students from different parts of Africa join Ashbourne for their A Levels. These include students from Nigeria, who have shown themselves to be hardworking and high achieving and such we are keen to keep up this tradition. Alternatively you can contact the admissions team directly here.